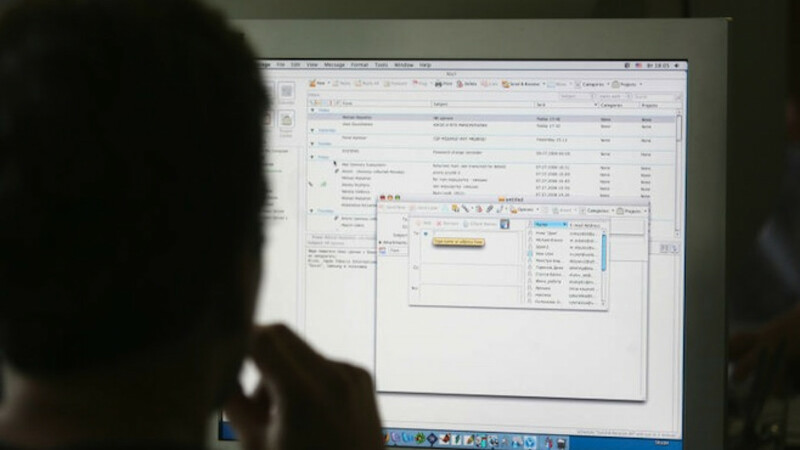 Websites that fail to meet the requirement could be blocked in Russia. State Duma lawmakers have introduced a bill that would require foreign Internet companies such as Google and Facebook to store personal information about their Russian users on computer servers inside the country. Online companies would have until September, 2016, when the bill is supposed to take effect, to meet the requirement, according to the draft legislation submitted submitted Tuesday by Communist lawmaker Alexander Yushchenko, and Liberal Democrats Andrei Lugovoi and Vadim Dengin. Websites that fail to meet the requirement could be blocked in Russia, said the bill, which was published on the Duma website. "Data about Russian citizens, their electronic mails, information that we enter when registering on various websites and social networks are in many cases stored abroad," Dengin told Izvestia. "Those data can be used against the country as well as against a specific individual. We want large Internet corporations — search engines, mail services, social networks and so on — to store information about Russians in data centers on the territory of our country." Sergei Plugotarenko, the head of the Russian Internet Communication Association, called the bill's requirement "excessive" and "artificial," Izvestia reported. "Nowadays storing information on the Internet relies on cloud technologies," he was quoted as saying. "It is stored wherever makes it quicker to retrieve and cheaper to keep. Violating the laws of economics and creating additional conditions in this case seems unwise." Communications watchdog Roskomnadzor, which tightened state control over online activities in Russia lately, supported the bill but will refrain from more detailed comments until it reviews the proposal more closely, an unidentified official told Izvestia.